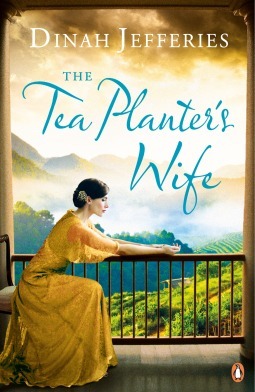 This week I’m featuring The Tea Planter’s Wife by Dinah Jefferies, one of the library books I wrote about in this post last week. The woman held a slim white envelope to her lips. She hesitated for a moment longer, pausing to listen to the achingly sweet notes of a distant Sinhalese flute. She considered her resolve, turning it over as she would a pebble in her palm, then sealed the envelope and propped it against a vase of wilting red roses. With her straw hat in one hand, Gwen leant against the salty railings and glanced down again. She’d been watching the shifting colour of the sea for an hour, tracing the shreds of paper, the curls of orange peel and the leaves drifting by. Now that the water had changed from deepest turquoise to dingy grey, she knew it wouldn’t be long. She leant a little further over the rail to watch a piece of silver fabric float out of sight. I think I’m going to enjoy this book – I really hope I will.